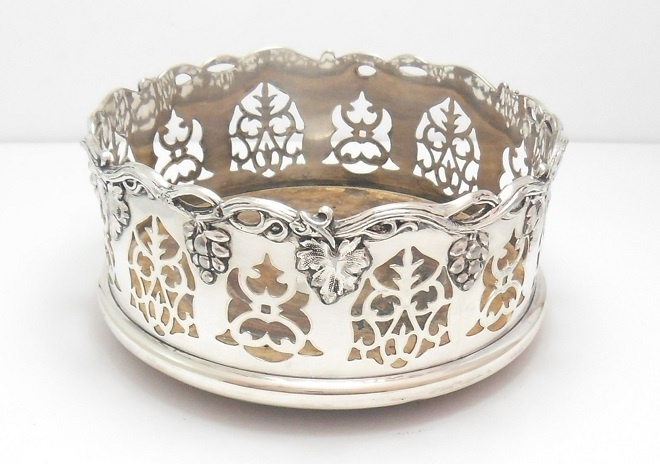 A magnificent, late Victorian, silver plated Wine Bottle Coaster. 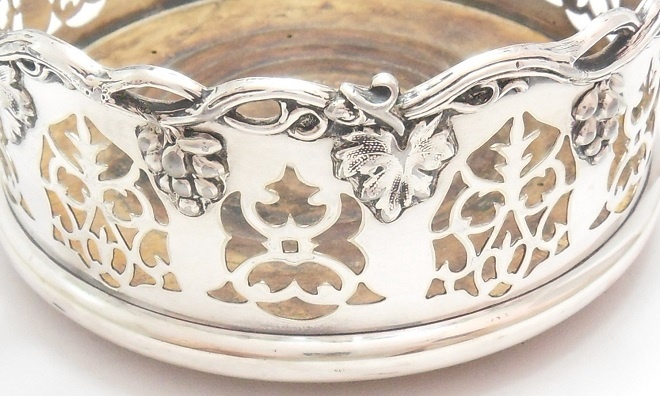 This Coaster is a large size, with superbly decorated piercings and a gorgeous cast grape and grape vine design. 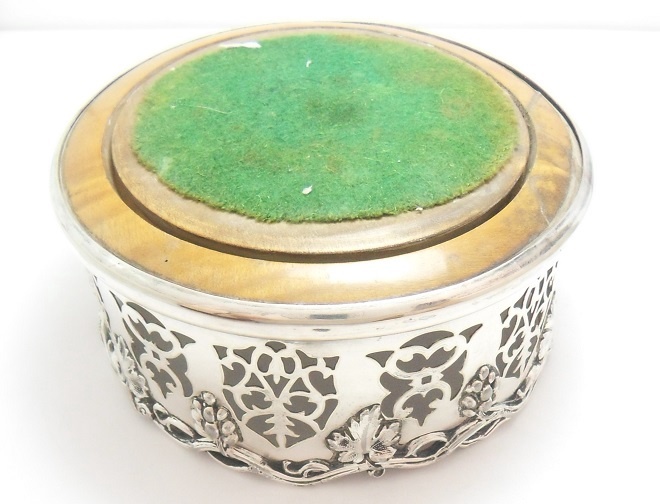 The base is a lovely turned wood and the underneath is covered in green baize. A good heavyweight Coaster; would certainly command pride of place on the dinner table, due to its stunning appearance and lovely large proportions. Exceptional wine Coaster, great for any collector! Condition: In great antique condition. The silver plate is not tarnished or marked. Diameter width: 14 cm approx.